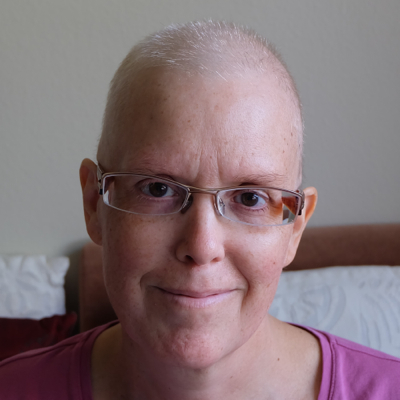 Here are the posts I’ve written so far about having breast cancer, arranged roughly in chronological order of the events and feelings they describe (not necessarily the order I posted them). Obviously, this will be updated from time to time. How Does It Feel to Have Cancer? This entry was posted in breast cancer on April 14, 2015 by Deirdre Straughan. Dear Deidre , I know you don’t remember me ,but I have left a comment before. I am terminally ill and I been reading about your sinus problems and now your battle with breast cancer. I reckon I agree with you ,its a bugger but what can you do. Like you I go through the treatments and not one of them is easy but what can you do. I too fight on mainly for my family, I myself would be quite content to call it quits and stop all treatments. Are you brave ,yes you are . I wish you well ,and will continue to follow your posts. I am a Christians ,so it would be amiss of me not to say ,God bless you. Thanks. I wish I could say “good luck”, but I’m not sure what luck has to do with it, honestly. You are brave to fight on for your family! Hugs to you, and blessings always appreciated even though I’m not a believer.